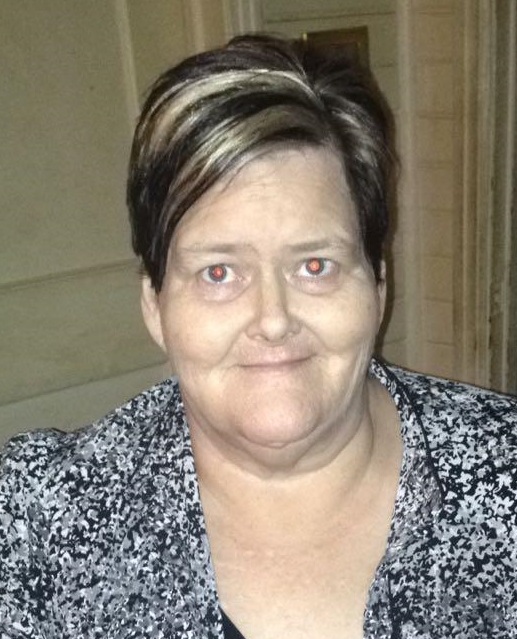 Nobles Funeral Home and Crematory announces the funeral services for Betty Jean “Maw Maw” Giddens, age 53, who passed away Wednesday, February 6, 2019 at Memorial Health in Savannah. She was a lifelong resident of Appling County; a retired CNA and a member of Oak Grove Church of God. Betty was preceded in death by her parents, Ralph and Irene Bryant Weathers. Surviving is her husband, Danny Giddens of Baxley; three children, Candice Irene Giddens of Baxley, Shawn and wife Candice Marie Giddens of Alma and Andy and wife Dana Giddens of Hazlehurst; four grandchildren, Addison Giddens, Haylee Giddens, Austin Giddens and Zen Toups; one sister, Sherry Weathers of Baxley and several nieces and nephews and her furry companion, Prissy also survive. Funeral services will be held Saturday, February 9, 2019 at 2 p.m. from the chapel of Nobles Funeral Home with the Reverend Dennis Bryant officiating. Visitation will be held one prior to services at the funeral home. Active Pallbearers will be Edward Errett, Billy Davis, Bobby Clack, Joseph Scott, Joshua Giddens, Dalton James and Nick Mitchell. Honorary Pallbearers will be the members of Oak Grove Church of God. Family and friends may sign the online registry at noblesfh.com. Nobles Funeral Home and Crematory is honored to serve the family of Betty Jean “Maw Maw’ Giddens.